Interested in hosting or partnering on an event in your area? The Georgian Bay Biosphere Reserve is able to offer programs and services that align with our mandate and goals. Request a service or event. Yes! Add me to the monthly newsletter. 1.1 What is a UNESCO World Biosphere Reserve? Biosphere reserves are internationally recognized by the United Nations Educational, Scientific and Cultural Organization (UNESCO). Biosphere reserves are experiments in sustainable development where conservation activities are combined with ongoing economic and community development and their experiences are showcased to the world. Supporting environmental education, training, research, and monitoring. 1.2 Does a biosphere reserve actually “reserve” land like a park? No, it is not a wilderness area or land set aside to exclude people or their activities. For UNESCO’s world biosphere reserve program a special geographic area is recognized for its unique environment where communities are committed to living in balance with nature. Biosphere reserve organizations have no legal or regulatory powers and they do not affect existing private property, municipal jurisdictions, Treaty/Crown Lands or land claims. However, each biosphere reserve must contain “core protected areas” such as provincial or national parks. View a full map of the biosphere reserve. 1.3 Where did the Biosphere Reserve concept come from? As explained on UNESCO’s website the origin of Biosphere Reserves started in 1968 at the “Biosphere Conference”. As the first intergovernmental conference regarding how to balance the need for conservation and the need to develop natural resources, this foreshadowed the modern day concept of sustainable development. This conference was instrumental in the start of UNESCO’s Man and the Biosphere program that started in 1970. One of the original Man and the Biosphere objectives was to establish a coordinated global network of sites representing all of the major ecosystems of the planet. As a result of this goal, the idea of biosphere reserves was started, they are representative landscapes in which genetic resources can be protected, and where research on ecosystems as well as monitoring and training work can be conducted. In reference to the programs name these sites were called “Biosphere Reserves”. Read more about the Man and the Biosphere program. 1.4 Are there other biosphere reserves in Canada? Read more about Canada’s Biosphere Reserves. 2.1 What is the Georgian Bay Biosphere Reserve? Designated by UNESCO in 2004, the Georgian Bay Biosphere Reserve (GBBR) is one of over 660 biosphere reserves throughout the world and one of 18 in Canada. The eastern coast of Georgian Bay is also known as the “30,000 Islands” and is considered the world’s largest freshwater archipelago. The Georgian Bay Biosphere Reserve covers 347,000 hectares of shoreline ecosystem stretching from the Severn River to the French River. It contains over 50 species of animals and plants that are at risk in Canada and Ontario. GBBR acknowledges the United Nations Declaration on the Rights of Indigenous Peoples and celebrates Indigenous languages within the GBBR region. We are active on Twitter, Facebook, and Instagram with over 3000 followers: @GBayBiosphere. 2.2 Who is in charge of the biosphere reserve? The GBBR has a volunteer Board of Directors that meets monthly to advise on and steer the goals of the GBBR. Members of the public who are passionate about Georgian Bay can apply to volunteer as Directors and elected at an Annual General Meeting. As a registered charity, the GBBR has constitutional documents including Letters Patent for incorporation and Bylaws that govern the corporation. GBBR is supported by several full-time employees, interns and project staff. 2.3 How does the GBBR make money or receive funding? Like other charities, the GBBR relies on grants, members, and donations to achieve its mandate. GBBR does not receive any funding from UNESCO nor any operating funds from provincial or federal governments. It competes for project funding through grant applications. GBBR also holds several fundraisers each year. 2.4 What does the GBBR do to support Indigenous culture? The GBBR’s Cultural Advisory Circle shares Indigenous perspectives and builds a network of groups across our diverse communities. We support Indigenous language revitalization through youth, elder, and community activities. We are honoured to participate in powwows and other cultural ceremonies, and we are learning how to put reconciliation into action. 2.5 What are some of the key programs and projects of the GBBR? Some of the main education programs are the lessons-in-a-backpack program that encourages the use of school grounds for nature education, and the kids-in-the-biosphere program which is designed to encourage kids and their families to learn more about Georgian Bay. Additionally, our Best for the Biosphere guide provides information to community members on how to use their gardens to provide habitat for wildlife and native plants, and our Life on the Bay guide is for property owners interested in reducing their environmental impact. Furthermore, our ongoing State of the Bay project works to track and make sense of changing environmental trends and to provide that information to the public in a meaningful way through our ecosystem report published every five years (2013 and 2018). 2.6 Where does GBBR stand on particular issues?  The role of the GBBR is to educate, support research and monitoring, and to increase communication and awareness about the biosphere region. We are a non-advocacy group; we highlight best practices and promote them. While we are often approached to take a ‘stance’ on particular issues or sign petitions, we often do not have the required expertise, nor do we have the jurisdiction to make decisions; instead, we encourage sharing knowledge in community dialogue. 2.7 Is the biosphere reserve the same thing as the Georgian Bay Land Trust or Georgian Bay Forever? No, the GBBR is separate from other organizations like the Georgian Bay Land Trust, the Georgian Bay Association, and Georgian Bay Forever. However, working with partners is an important part of our mandate. We communicate regularly with the above-mentioned and other groups to ensure collaboration, efficient use of resources, and avoid duplication. As a group, we work together on larger-scale projects that can fulfill all of our mandates. 2.8 Why do we need biosphere reserves like the GBBR? Biosphere reserves are important to conserve the biodiversity of species from plants and animals to micro-organisms. These living things make up the biosphere and while we need to build strong economies and develop resources we also need to maintain natural systems and the services they provide for generations to come. The GBBR designs tools to integrate development and conservation through our education and outreach programs. The GBBR and the World Network of Biosphere Reserves are in place to preserve globally-significant landscapes and to encourage sustainable development. 2.9 Who do I talk to if I have more questions? You can contact us at (705) 774.0978 or email us at [email protected]. Thank you!